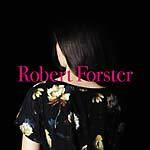 In 2008, Robert Forster, one of Australia's most respected singer-songwriters, released The Evangelist, a work that was widely regarded as his best solo album; it more than lived up to the many high points of his legendary band The Go-Betweens. In 2015, seven years after that album, fans and critics alike may wonder what's been doing since. Quite a lot, as it turns out. Producer for acclaimed albums by Brisbane bands The John Steel Singers and Halfway. An extended stint as a music critic for the Australian periodical The Monthly that was so well received that a collection of his writings was published as The Ten Rules of Rock and Roll in 2009, and was reprinted in revised and updated form in 2011. Curator and compiler of G Stands for Go-Betweens: The Go-Betweens Anthology Volume 1 (2015), the first of three lavish box-set compilations charting the career of the iconic Australian band of which he was founding member, singer, and songwriter. Still, seven years is a long time, musically speaking. Time for writing songs, time for gathering musicians, time for preparing a refreshed creative direction that took shape as Songs to Play. Ten very different Robert Forster songs recorded on a mountaintop half an hour from his Brisbane home, in an analog studio, with a troop of young musicians: talented multi-instrumentalists Scott Bromley and Luke McDonald (from The John Steel Singers), Matt Piele (drummer from Forster's touring band), and violinist and singer Karin Bäumler. The resultant album is really like nothing he's ever done before, although it retains many of the qualities listeners know from his songwriting. His work remains highly melodic, with incisive, witty lyrics attuned to real people and real lives. The surprise is in the spirit of the record, its sense of adventure and fun -- especially after the meditative reflections of The Evangelist (recorded a year after the death of The Go-Betweens co-founder Grant McLennan). Seven years have brought a bolder, wilder approach to sound, and a set of truly inspiring compositions. Pop songs. Five minute epics. A bossa nova tune. Singer-songwriter classics. Experimental, detailed production assistance from Bromley and McDonald. It's no wonder that, from the album's opening lines on the super-charged "Learn to Burn," Forster is bursting to get out and tell his story. Seven years in the making. And worth every minute. Repressed; LP version. Includes CD. 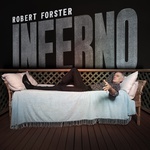 In 2008, Robert Forster, one of Australia's most respected singer-songwriters, released The Evangelist, a work that was widely regarded as his best solo album; it more than lived up to the many high points of his legendary band The Go-Betweens. In 2015, seven years after that album, fans and critics alike may wonder what's been doing since. Quite a lot, as it turns out. Producer for acclaimed albums by Brisbane bands The John Steel Singers and Halfway. An extended stint as a music critic for the Australian periodical The Monthly that was so well received that a collection of his writings was published as The Ten Rules of Rock and Roll in 2009, and was reprinted in revised and updated form in 2011. Curator and compiler of G Stands for Go-Betweens: The Go-Betweens Anthology Volume 1 (2015), the first of three lavish box-set compilations charting the career of the iconic Australian band of which he was founding member, singer, and songwriter. Still, seven years is a long time, musically speaking. Time for writing songs, time for gathering musicians, time for preparing a refreshed creative direction that took shape as Songs to Play. Ten very different Robert Forster songs recorded on a mountaintop half an hour from his Brisbane home, in an analog studio, with a troop of young musicians: talented multi-instrumentalists Scott Bromley and Luke McDonald (from The John Steel Singers), Matt Piele (drummer from Forster's touring band), and violinist and singer Karin Bäumler. The resultant album is really like nothing he's ever done before, although it retains many of the qualities listeners know from his songwriting. His work remains highly melodic, with incisive, witty lyrics attuned to real people and real lives. The surprise is in the spirit of the record, its sense of adventure and fun -- especially after the meditative reflections of The Evangelist (recorded a year after the death of The Go-Betweens co-founder Grant McLennan). Seven years have brought a bolder, wilder approach to sound, and a set of truly inspiring compositions. Pop songs. Five minute epics. A bossa nova tune. Singer-songwriter classics. Experimental, detailed production assistance from Bromley and McDonald. It's no wonder that, from the album's opening lines on the super-charged "Learn to Burn," Forster is bursting to get out and tell his story. Seven years in the making. And worth every minute.